When I was a kid, I always wanted to live in a hotel. It was the little soaps. I found them so charming. On the few occasions my dad had to travel for work, he'd bring us back mini cakes of Safeguard and I was sure he'd had quite a glamorous time. Sad how off our early impressions can be. Any hotel that gives you Safeguard can't be particularly glamorous. As a young artist, I read a lot about the importance of having an artistic home. A theater where I was known, where my work was valued, where they'd read anything I wrote, set up a reading, PRODUCE IT. Reliably. Because it was home. I believed I would someday have this artistic home. In fact, I believed it was very important to seek one out. I thought it was something Real Artists would surely have at some point and it would be beautiful forever. That hasn't happened for me. In fact, that hasn't happened for most of my friends, acquaintances, and colleagues in this business. In September I hosted a happy hour for a great group of independent artists--actors, directors, and playwrights--whom I've worked with in the past two years. I conceived of it as a Season Launch for the non-affiliated. We don't have a theater but we all make theater. It was a great evening. Predictably, I have no decent photographs. Grilled cheese was served, ok? It. Was. Glamorous. I wore a skirt. And it strikes me that if I can have this much fun with this many talented people, why do I need to hang around outside the doors of institutional theaters hoping one of them will take me in? I'm not an artistic orphan in need of care. What about artistic hotels? 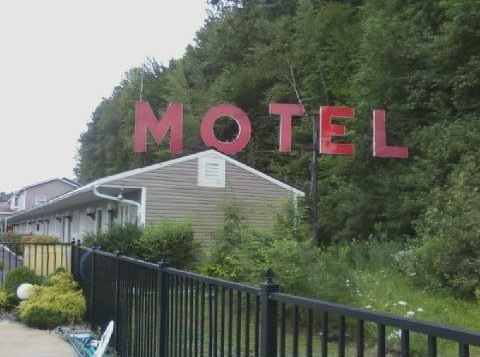 What about this place, that place, oh they were fun, oh they had a spa, wow that place was a dump. Isn't that closer to most of our working realities anyway? Aren't we always fetching up here and there for one show or even one night, one reading? Aren't our meetings with the artistic staff sometimes fleeting or shallow, because they're focused on running a theater? As we're focused on our own play or performance or career? Other times it's wonderful and deep but then it's over, and they move on, giving their love to someone new. And we're looking for the next place, the next group of collaborators, the next project. If an artistic home happens for me, I'm sure I'll be delighted. But if it doesn't, I'm sure I'll be fine. I'll still be working and enjoying that. I'll still be meeting new people and seeing their work and introducing them to this other person I think they just have to know. That's what we do. I want an artistic hotel. Hell, I want to BE an artistic hotel. So I'm thinking another party for the unaffiliated needs to happen, yes? Soon. I'll let you know. Stocking up on tiny soaps.